Are your customer service issues a mystery? Ever wish you could go undercover and secretly listen in on each and every interaction a customer has with your business? Well, you’re in luck. 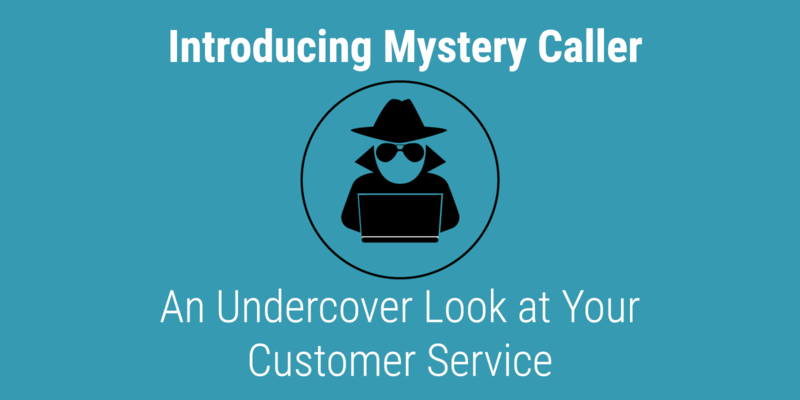 Introducing Mystery Caller, a new way to anonymously identify and fix any customer service issues at your business. Have you ever been to a dinner meeting where almost everyone had their noses in their smartphones? It's easy to be impolite in the modern age, not only because distractions are everywhere, but also because face-to-face encounters are no longer the only option for communication. When you hear the words “call center,” does it immediately bring to mind endless rows of people chattering away on headsets? If so, you have a pretty accurate idea of what a call center is like. One thing associated with many call centers is an extremely high turnover rate. As a matter of fact, the average time a U.S. call center representative remains at one job is about three years.